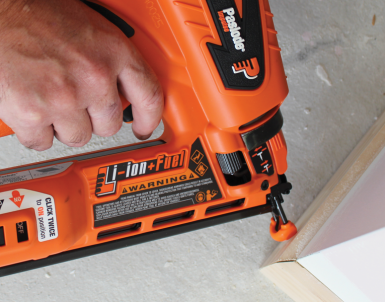 Lithium Ion Battery Technology - 50% more shots per charge allowing you to complete the job faster. 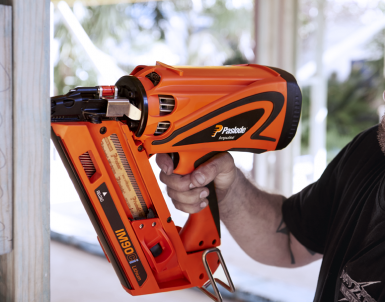 Battery On/Off Position - locks battery in place when disengaged for safer handling and minimising the need to replace batteries. 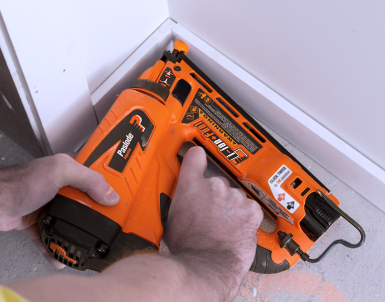 Improved line of sight for accurate brad placement. 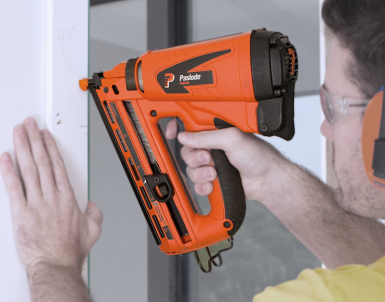 Quick clear nose reduces downtime if fastener jam occurs. 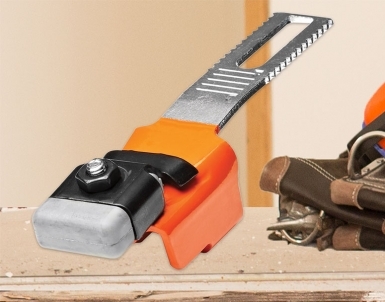 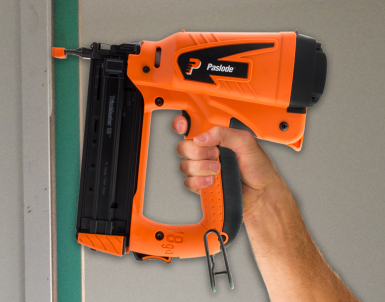 Brad lock out bar eliminates blank tool firing to protect timber and tool. 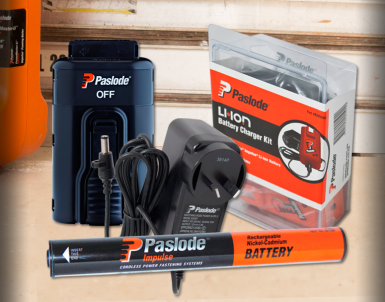 Lithium-Ion battery drives 9,000 shots per 1 hour charge time. Ergonomic design with non-slip hand grip to improve comfort and safety with belt and rafter hook for convenience. 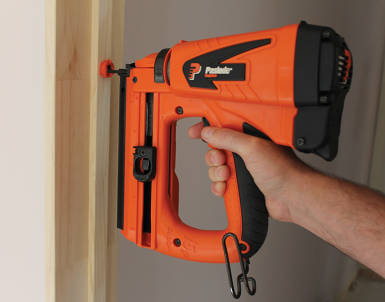 No Mar Tip prevents damage to timber and cladding surfaces. 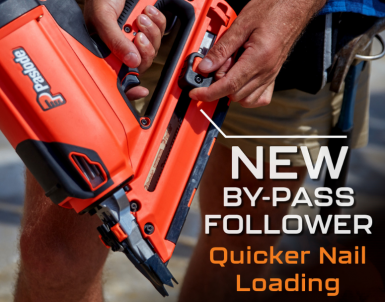 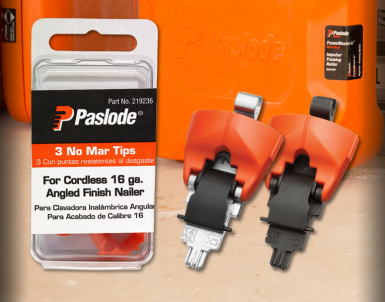 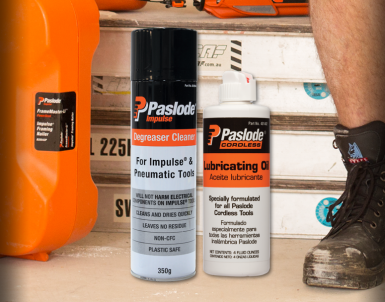 Paslode Cordless (Impulse) Bradder Attachments. 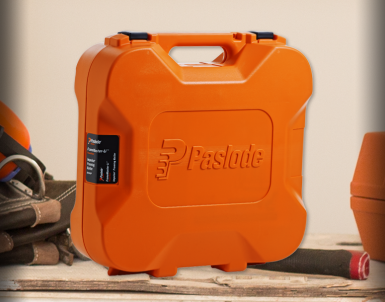 Paslode Cordless Impulse Tool Cases.